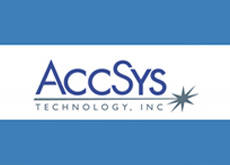 AccSys Technology, Inc. | Network Directory : Hitachi in the U.S.A.
AccSys Technology, Inc. is a global leader in the production of ion linear (linac) accelerator systems. Our proton linac systems employ the latest technology to deliver accurate results. Hitachi offers a spectrum of models for various applications. Our customized linac systems provide varying peaks and average currents at energies up to and above 100 MeV. Our ion linear accelerators can be used as synchrotron injectors for proton beam therapy, neutron generators and radioisotope production equipment for production PET (Positron Emission Tomography) isotopes.